Are you planning to decorate your home, yard and garage with those old strings of incandescent lights this holiday season? According to the St. Louis County Health Department, it is time to make the switch to LED lights. Most strings of incandescent lights are wrapped with a hard plastic PVC coating, which protects the wire inside. This coating is a problem for our landfills taking up to 500 years to breakdown. In addition, PVC is heat resistant and sometimes contains metals such as lead, cadmium and tin that are harmful once they make it into the ground. 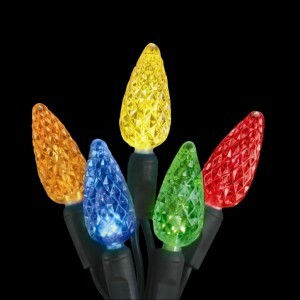 LED lights use one tenth of the energy when compared to a traditional strand of holiday mini-lights. Using less energy means a lower electric bill. They last two times longer than incandescent lights – that’s up to 20 years! LEDs can withstand, heat, cold and moisture making them ideal for outdoor displays. These energy efficient lights are cool to the touch reducing the risk of fire. The brightness of LED lights does not fade over time. They are durable and harder to break than traditional holiday lights. LEDs can be found at most home improvement centers and hardware stores. Before you throw those old light strands in the trash, check locally for a recycling/collection program. Many hardware stores and home improvement stores offer collection programs, and some even give a discount on the purchase of new LED holiday lights for every strand of old lights you recycle. So, be earth-friendly this holiday season and decorate your house, garage and yard with LED lights.